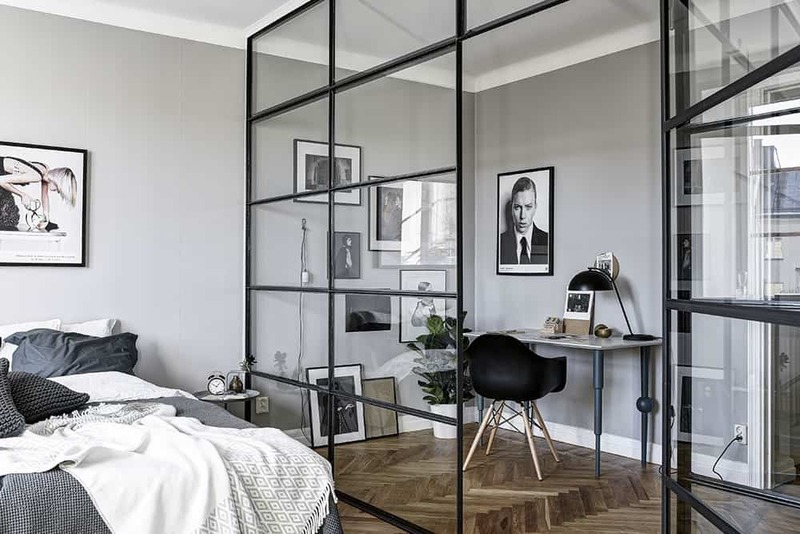 This beautiful Scandinavian bedroom uses Crittall as a room divider to create a separate space for the home office. Without windows, the home office space would be a dark and depressing antechamber without the use of Crittall. As set up currently though, the light from the windows in the bedroom floods through to the separate study space. Why Use A Crittall Internal Wall? 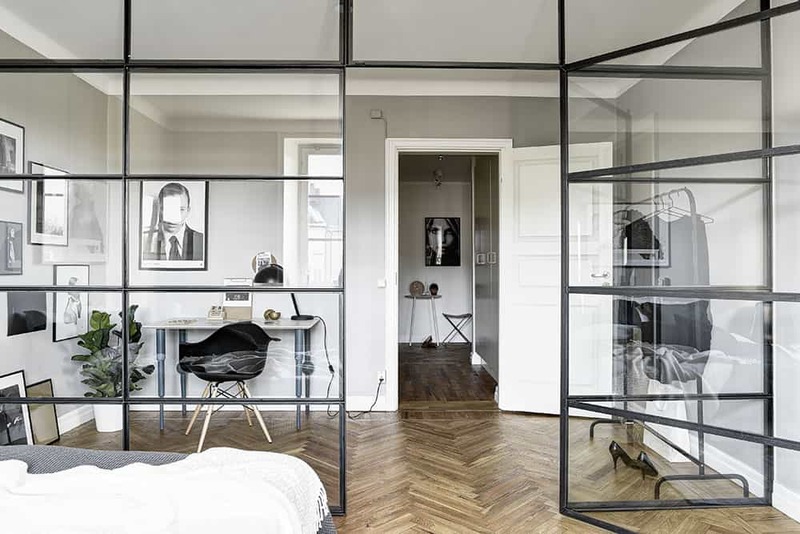 If you can see through the Crittall windows, why would you want to have such a room divider? I can think of a few reasons. It’s nice to have a separate room designated as a study so that you don’t have paperwork or work materials everywhere. This way the bedroom is a designated area of relaxation and sleep. Moreover, if you are taking a call then you may want to have the privacy of a separate room if your partner is in the bedroom. From the photos of the flat, the space does not look very big. 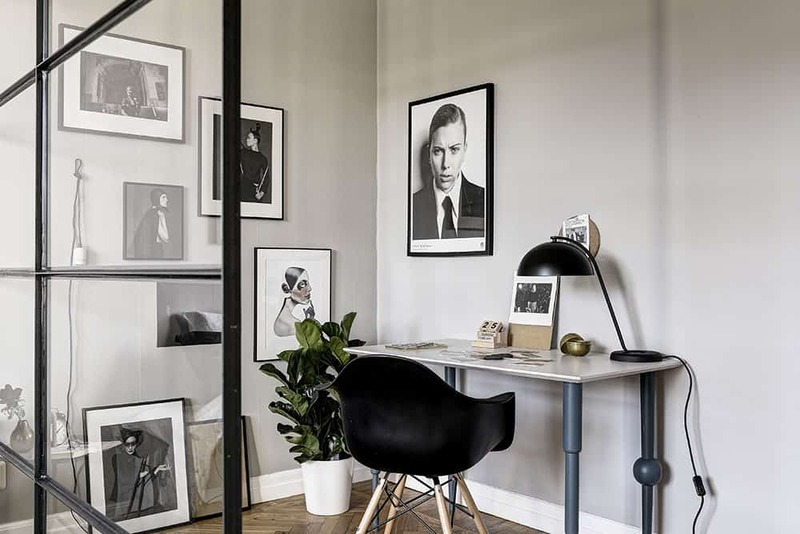 At a pinch you could feasibly have a meeting in this home office whereas you would not be able to do so in a combined home office and bedroom set up. 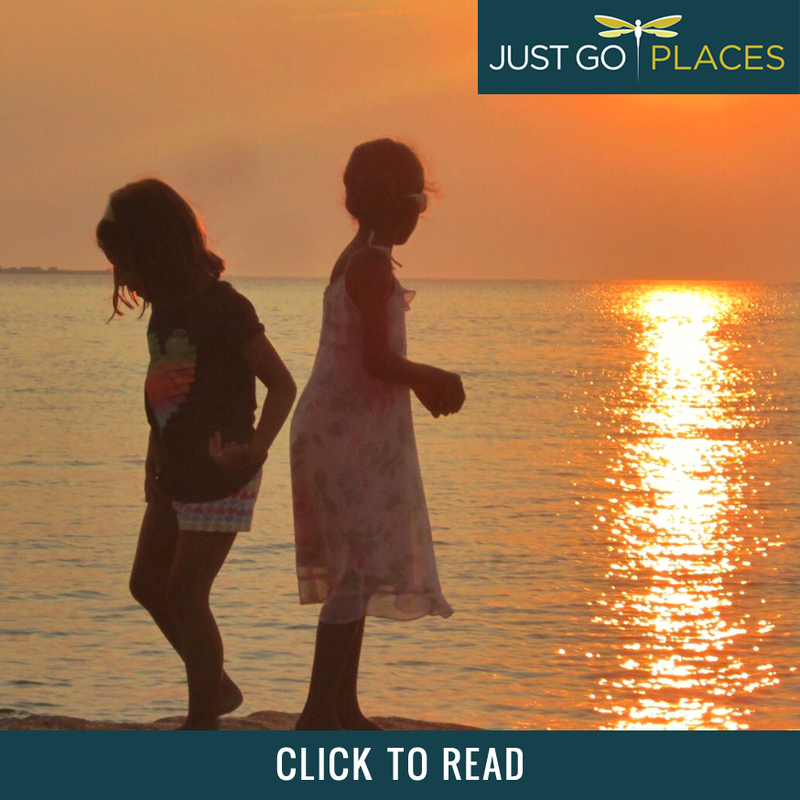 The space feels more free-flowing and open and yet is not. Crittall is an English manufacturer of steel windows with a long-standing history of excellence. Crittall have been installed in many notable premises including buildings at the Tower of London, Coventry Cathedral, Yale University and Princeton University. 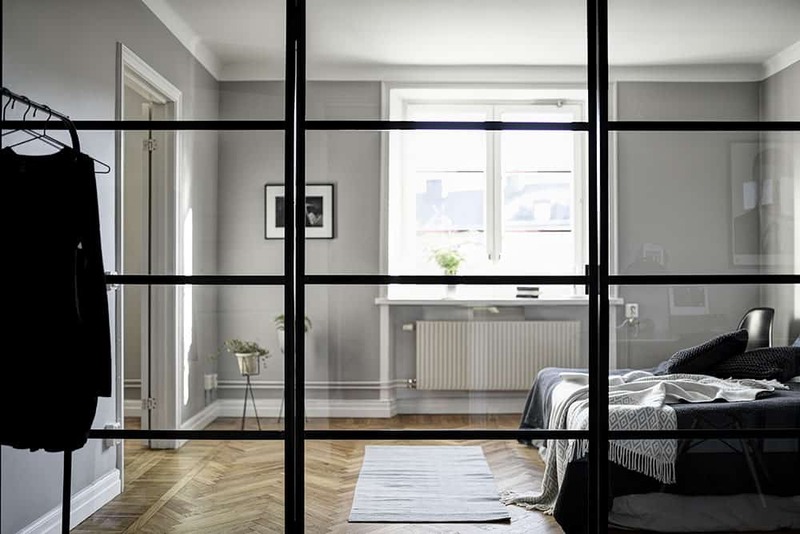 Named after the company’s founder, Crittall was first manufactured in 1889. Crittall was a darling of the Art Deco and Modernist movements in the early 20th Century and have once again come back into vogue. They are incredibly versatile – able to be used inside or outside and able to have double glazing. They can be fully customised to any space or size. With its clean geometrical black lines, it’s easy to see how these windows fit once again with the modern aesthetic. 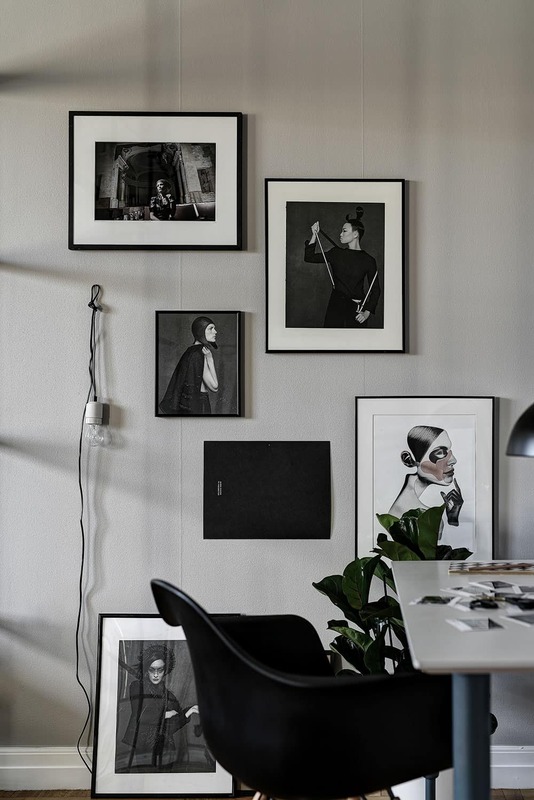 Swedish firm, Designtherapy, shows how to create a chic look by reigning in the palette of this Scandinavian flat. It’s a master piece of black and white and grey with warmth provided by the textiles and wood floor.